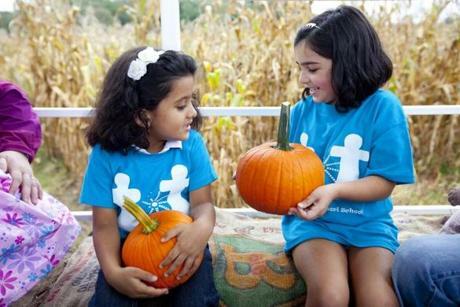 Aanya Baid, age 4, of Norwood, on left, and Arya Gurkar, age 5, of Norwood with their pumpkins on the hayride from the pumpkin patch at Ward's Berry Farm on South Main Street in Sharon. 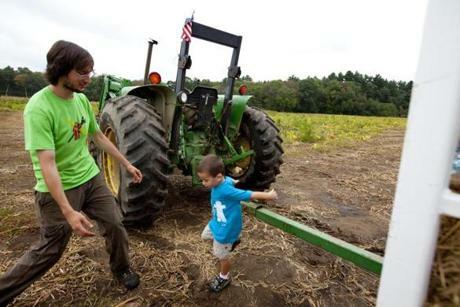 Nicholas Silva, age 3, left, of Norwood with his mother Michaela, and sister, Olivia, age 5, ride the hayride to the pumpkin patch at Ward's Berry Farm on South Main Street in Sharon. 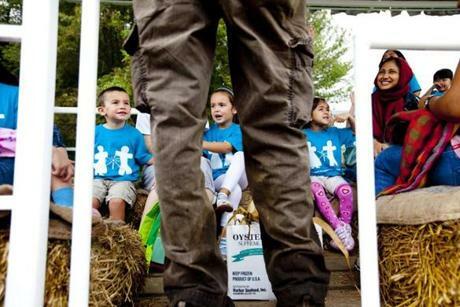 Young students from the Norwood Montessori School get instruction from tour guide, Will Finucane, of Walpole, on the hayride to the pumpkin patch at Ward's Berry Farm on South Main Street in Sharon. Finucane and Nicholas by the tractor for the hayride to the pumpkin patch at Ward's Berry Farm. 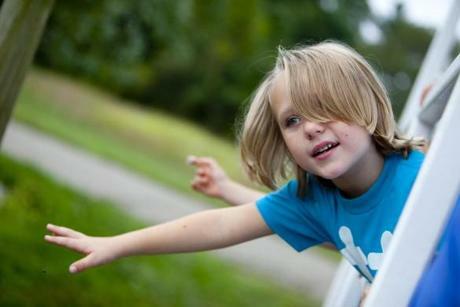 Liam Roehr, age 6, of Norwood on the hayride to the pumpkin patch at Ward's Berry Farm. 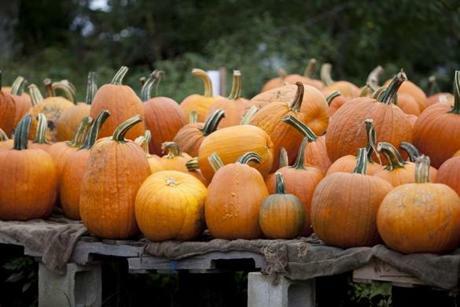 Pumpkins for sale at Ward's Berry Farm. 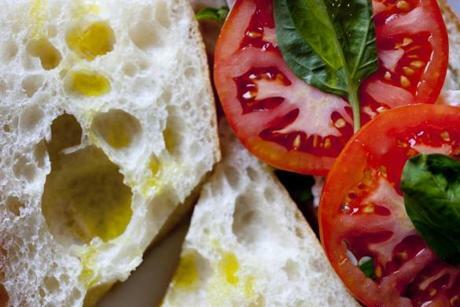 A fresh tomato, mozarella and basil sandwich for sale at Ward's Berry Farm. 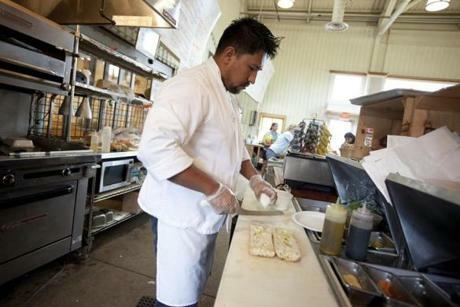 Juan Estevan of Attleboro prepares sandwiches at Ward's Berry Farm. 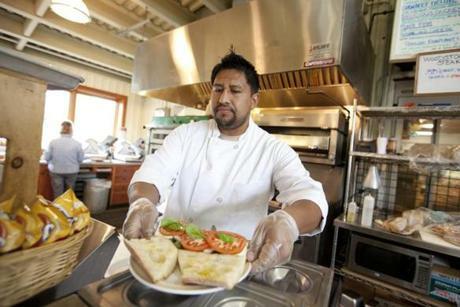 Estevan prepares sandwiches for the crowds. 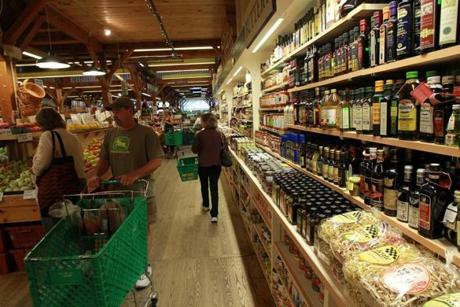 An extensive variety of olive oils are just a few of the offerings at Idylwilde Farms in Acton. 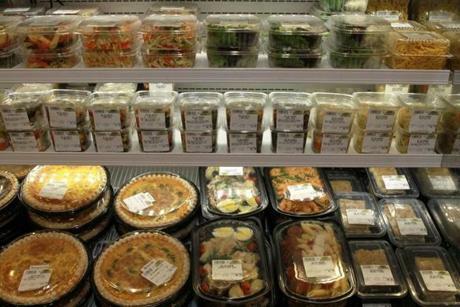 Some of the offerings at Idylwilde Farms in Acton. Saroeun Samrith, a member of the kitchen staff at Idylwilde Farms, fills a case of prepared foods. 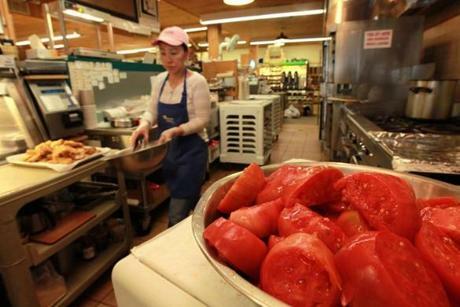 Fresh tomatoes are waiting to be used in sauces and other recipes in the kitchen prep area at Idylwilde Farms. 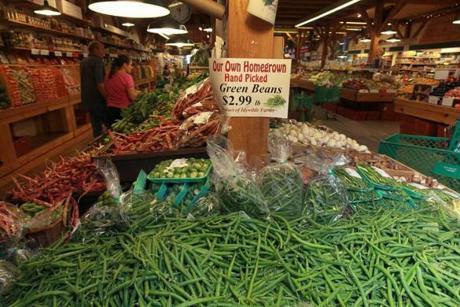 Idylwilde Farms has a large produce area as well as a equally large prepared foods section.